drive to Faro International Airport , this is an ideal area. 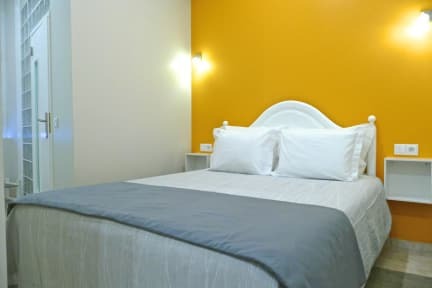 Our establishment consists of eleven bedrooms where we offer you tranquility, with a warm and friendly atmosphere, providing our guests to the ultimate personalized service. This is without a doubt our most important attribute. Each of our rooms have their own bathroom, cable TV, air conditioned and heating. We also have the facilities of a bar . Should you wish to sit back and relax, our lounge area offers you a wide variety of videos, allowing you a vast selection.